The Eucumbene river has been very hard to fish with all the wind as are all the other rivers so let’s hope this all stops soon. We did get some good reports on the other small rivers around the area but only on the good days with no wind so the fish are there we just need this wind to stop. 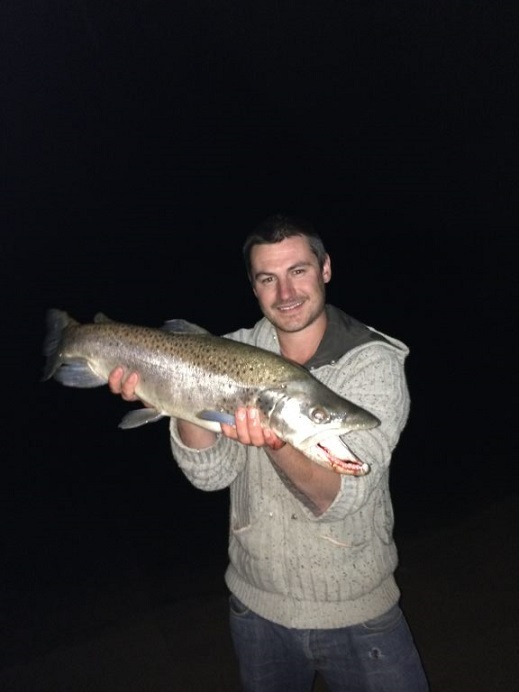 Don’t forget about the Monaro rivers we have been stocking them for sometime now so they should be fishing well if you haven’t fished these rivers around hear give it a go the rivers are running and there clear. To me this is fishing and it’s been awhile now and I’m looking forward to getting out there. 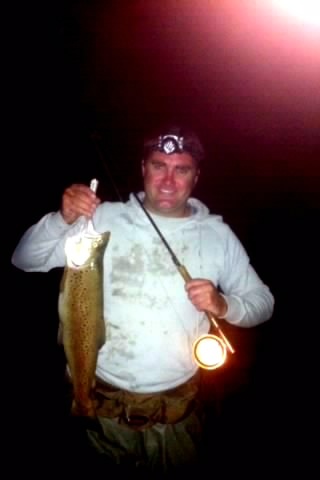 Hi all, have been fishing Lake Jindabyne during the ant falls lately with moderate success. There has been some big fish close in at the right time. You need to have the best winged ant pattern you can find and some nice accurate casting. The fish are there!! 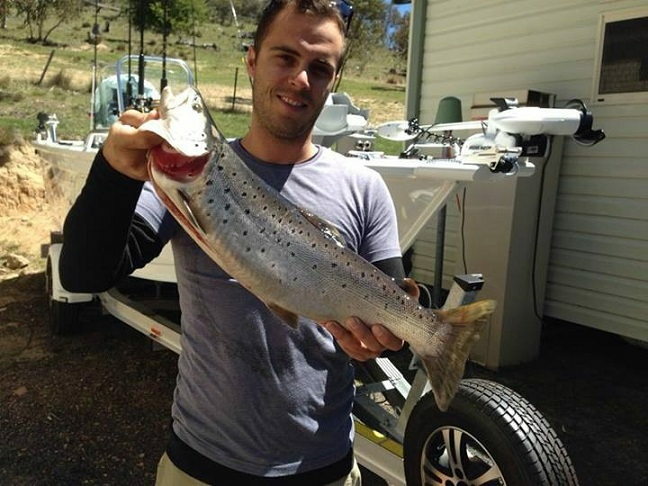 Lake Eucumbene:-reports have been up and down fisherman are coming in saying the fishing is great and others have been saying it’s no good? we are starting to get reports off rainbows taking the flies around Yens Bay and seven gates all on Mrs Simpsons and Hamill’s Killers, Fuzzy’s. We all know the fish are out there and thing have been slow but this is only because the wind is blowing the hell out of us and it’s hard to fly fish in these conditions but as it did last Saturday night it stopped the lake was still the fishing was good all rainbows not one brown. Best wet flies are Hamill’s, Fuzzys, Mrs Simpsons, has anyone tried any Minnows yet?? 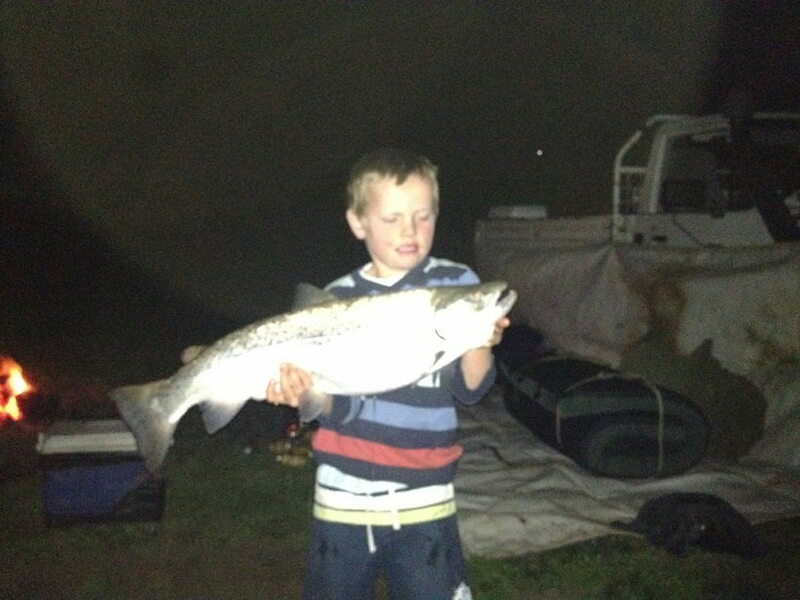 Ross Bourke, Caught on fly with a black Phantom just after dark...just over 6lb. 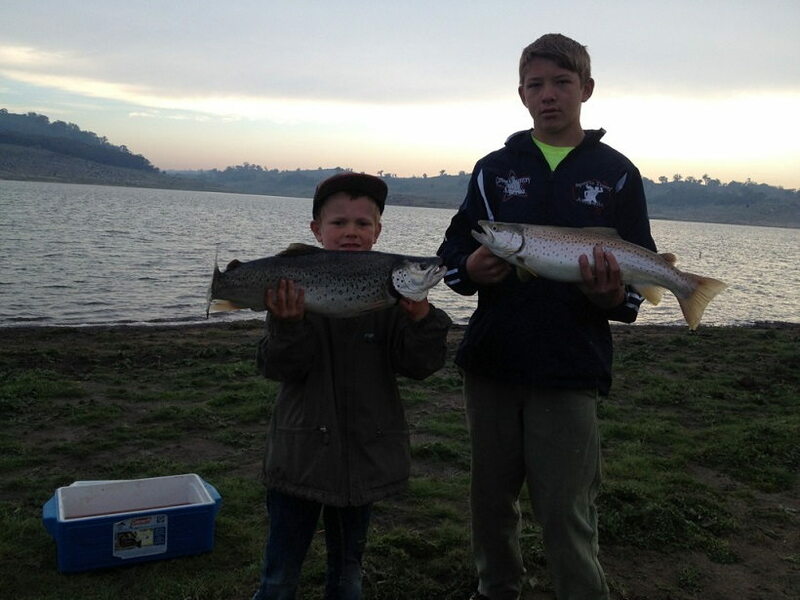 Lake Jindabyne:-Has been much the same in the past week with the windy conditions but it is fishing much like Euc when the wind stops the fishing is good most people are fishing around the western side off the lake with good results. 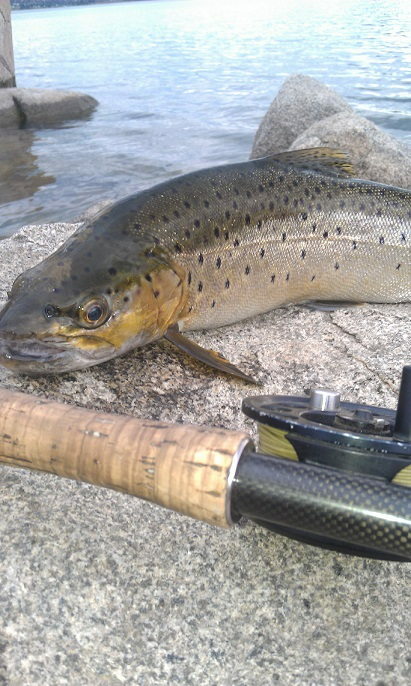 Fishing on the windy days most wet flies are working well Mrs Simpsons, woolly buggers, phantoms, Fuzzys when the wind has stopped dry’s have been great with plenty of fish rising in close and out wide. So both lakes are doing much the same to me the lakes are fishing well the brown are big and fat if I could get one over 5lb I’m happy yes most fisherman are getting them around this size even bigger it might only be one or three but there good fish. 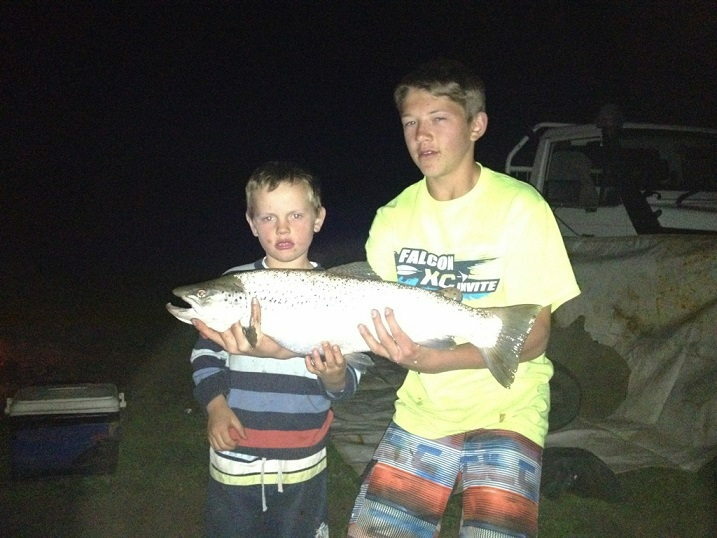 2.5 kg brown caught trolling Buckenderra last weekend by Mathew Boys. 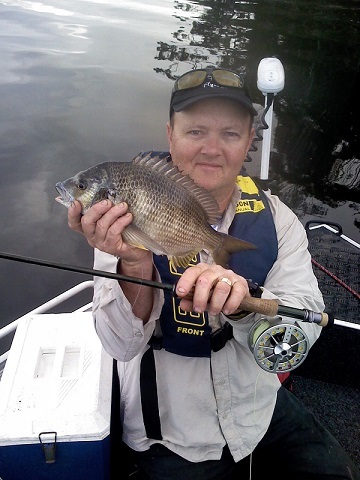 I caught this black bream on the weekend on a shrimp that I tied after purchasing the materials from you on Thursday. I'm not happy but fun! !